Dr. Trapp is heard on three CD recordings of the Liturgical Organist Consortium released by WLP, The Sacred Legacy of Paris (winning the national Golden Ear Award presented by Audio Sound, America’s premiere audiophile publication) Divinum Mysterium, and Chant Mosaic. His performances have been heard on the nationally-known radio program, Pipedreams. In 2010 he released Christmas on Grand at Wells Piano Studio in downtown St. Paul. For purchase contact the artist. 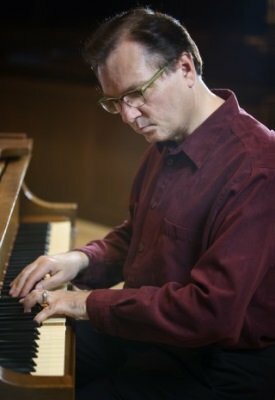 In 2006 he released the premiere recording of the Lively-Fulcher pipe organ Recital in the City at St. Olaf Catholic Church in downtown Minneapolis. For purchase contact the artist.